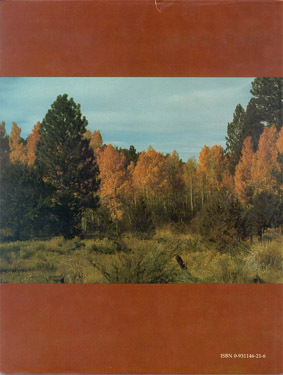 Herein is a greatly revised and enlarged handbook based on the near-legendary Agriculture Handbook 450, one of the most useful sourcebooks ever published by the U.S. Forest Service, first produced in 1948 and long unavailable. In this new volume by James and Cheryl Young, the number of genera covered has been more than doubled, and over 1000 new literature citations from around the world have been added. Included in this monumental genus-by-genus listing are woody plant species native to Canada, Mexico, and the United States and woody plants of other regions planted in North America. Many of the seeds have been collected and germinated for the first time during the past decade. For each genus the authors discuss the collection, harvesting, cleaning, storage, and stratification of seed; methods of testing seed germination; and the subsequent sowing of seed. The wealth of information is accompanied by numerous photographs and drawings of the seed pods, seeds, and seedling plants. This revision introduces tissue culture techniques for woody plant propagation and exposes the reader to problems of forest regeneration in many environments. The book also addresses newly developed applications of woody plant material, including the use of native plant species in environmental plantings, renewed interest in plant material from Asia, and a general awareness of the importance of tropical forest species. The extensive bibliography is especially valuable as many of the journals and government reports cited in the text are not generally available. 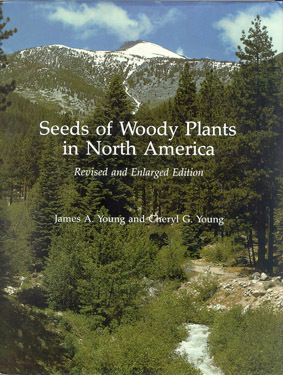 Written for forest and range regeneration specialists, urban foresters, horticulturists, research scientists, seed collectors, seed technologists, seed dealers, nursery professionals, forestry students, and serious gardeners, this reference systematizes and condenses in handy form the most up-to-date information on seeds of North American woody plants. Dr. James A. Young, a research scientist for the U.S. Department of Agriculture, has achieved worldwide recognition and respect among professional natural resource managers as an expert on native North American seeds. His wife and coauthor, Cheryl G. Young, has been closely associated with this work, compiling and organizing the extraordinarily diverse international literature available on seed propagation. The authors have mastered a wide range of gardening skills, from basic seed physiology to indoor and landscape gardening. Their summers are spent culturing a wide array of roses, while the relatively harsh winters they experience in the Great Basin keep them indoors, growing and hybridizing African violets. Other books by the Youngs are Endless Tracks in the Woods; Collecting, Processing and Germinating Seeds of Wildland Plants (published by Timber Press); and Cattle in the Cold Desert.